Wait. Before you go thinking that VV has started up a whole new line of business, hear us out. New research is finding specific links in the gut-brain connection. 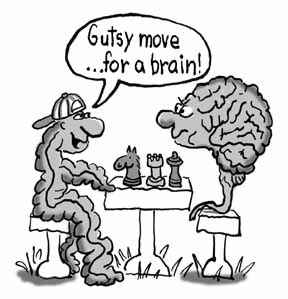 That connection is way more scientific than we can delve into in this humble blog, but the thinking is that the gut has specific pathways to the brain. Scientists are quoted as saying that consuming certain probiotics and probiotic-rich foods can be linked to improved mood and reduced stress and anxiety, thus earning these powerful bacteria the name "psychobiotic bacteria." Let your food be your medicine folks.